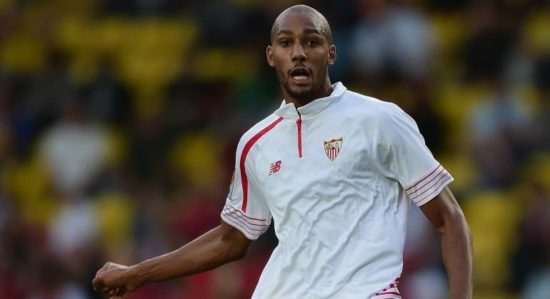 Arsenal are set to battle several clubs for the signing of Sevilla target Steven Nzonzi. Nzonzi is widely expected to leave Sevilla this summer amidst several Spanish outlets linking Unai Emery to his former player. However Barcelona, Roma and Milan are said to have joined the race for the towering midfielder. The Mirror reports that Arsenal are negotiating for a reduced fee for Nzonzi but Sevilla have insisted that the French man would only leave if his release clause(£36 million) is met. Emery reportedly wants Nzonzi to provide a physical presence alongside new signing Lucas Torreira in the middle of the pack. The France international could also be a replacement for the unsettled Aaron Ramsey who is yet to sign a new deal on the table. Spanish Tabloid Estadio Deportivo also carries a story claiming that Sevilla could sell below the release clause if the player’s agent agrees to write off the sell on clause in his current contract. However despite this new development Arsenal could yet lose out as Catalan giants Barcelona views Nzonzi as a cheap alternative to PSG midfielder Adrien Rabiot. Nzonzi would be a welcome addition as he will add physical presence and his aerial prowess to the midfield.